Passionist Feast of St Gemma Galgani is May 16th. Since Saint Gemma is considered a lay Passionist, the Passionists have a special devotion to her and she is numbered among the Passionist Saints. The feast of Saint Gemma in the Passionist order is May 16th, and it is on this day that they specially honor her and celebrate a special Mass in honor of her feast day. For those who wish to honor Gemma on her Passionist feast day (May 16th) below are links to a Novena or a Triduum. 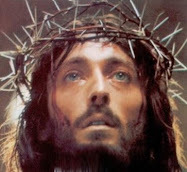 A nine day Novena would begin on Tuesday, May 8, 2012 and a Triduum would begin on Monday, May 14, 2012. New Novena to St Gemma prayer booklet will be availible in a few days!!! 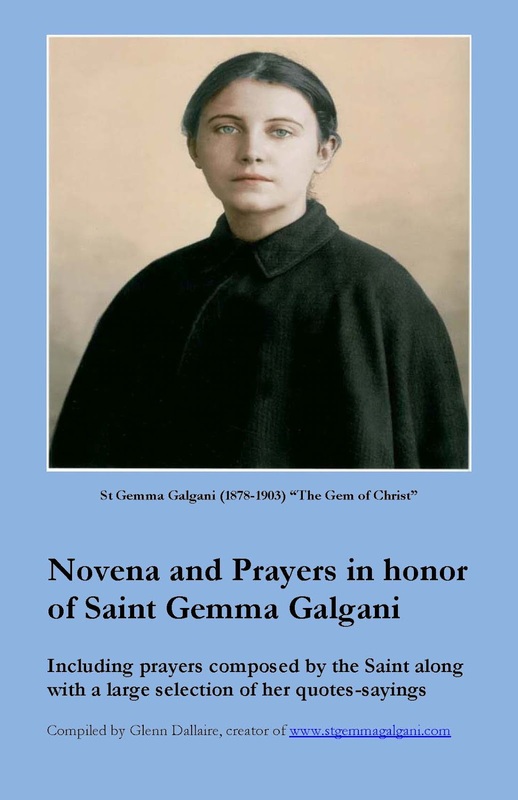 Update: The new St Gemma Novena and Prayer booklet is now availible here. And speaking of the Novena to Saint Gemma, over the past few years I have received a good numbers of emails and letters asking if a Novena in English is available in print -Well, while the Triduum to St Gemma is available in a pamphlet form (offered on this website as part of the "complete website package") unfortunately up to now there has never been a Novena printed in english---the only one available in english to my knowledge is the one on this website here. So, because of the repeated requests for a printed version of the novena I recently decided to contact a professional printer to have a novena booklet printed. The creation and design stage of the booklet began right after St Gemma's feast day on April 11th (anniversary of her holy death). 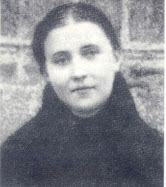 The 6x9 inch booklet will consist of the 9 day novena in honor of St Gemma, 2 pages with three high resolution authentic photographs of Gemma, one page consisting of two prayers that Gemma wrote herself, one page consisting of two prayers to St Gemma, along with 4 full pages of her quotes and sayings. The booklet is 20 pages total and was printed on the first week of May 2012 and should be available on this website in the next few days (as soon as I receive delivery). And to make the upcoming Novena and Prayers booklet offer an even greater blessing, I will be including with the offer one free relic holy card containing a authentic piece of Gemma's clothing. I recently acquired a patch sized piece of Gemma's clothing with a very old Passionist seal affixed to it. The relic itself is attached to a very old and faded original photograph of Gemma that simply says "Gemma Galgani" which therefore dates it back to the years before Gemma's beatification and canonisation, probably in the years not long after her holy death. So a small fragment of this relic of Gemma's clothing is placed and sealed inside the new holy card. 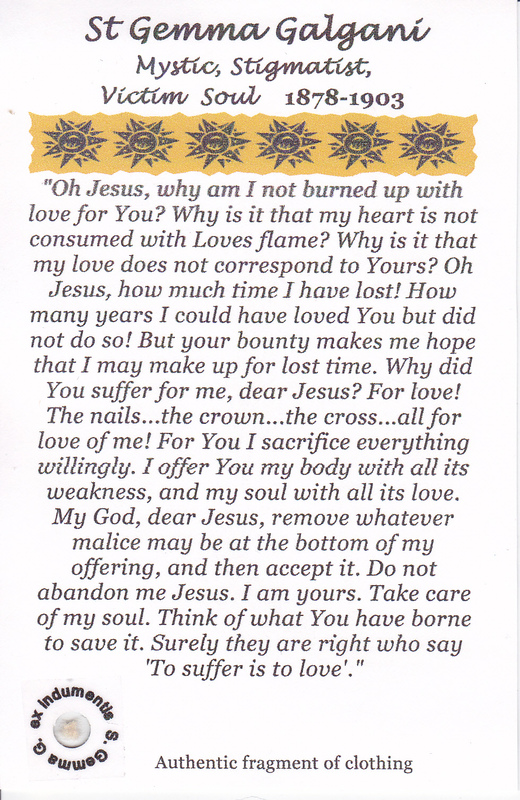 "Oh Jesus, why am I not burned up with love for You? Why is it that my heart is not consumed with Loves flame? Why is it that my love does not correspond to Yours? Oh Jesus, how much time I have lost! How many years I could have loved You but did not do so! But your bounty makes me hope that I may make up for lost time. Why did You suffer for me, dear Jesus? For love! 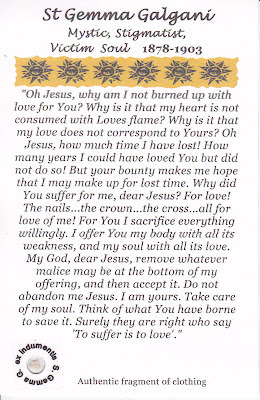 The nails...the crown...the cross...all for love of me! For You I sacrifice everything willingly. I offer You my body with all its weakness, and my soul with all its love. My God, dear Jesus, remove whatever malice may be at the bottom of my offering, and then accept it. Do not abandon me Jesus. I am yours. Take care of my soul. 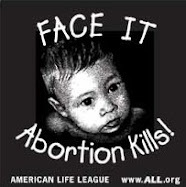 Think of what You have borne to save it. Surely they are right who say 'To suffer is to love'." For those interested, the new Saint Gemma Novena and Prayer booklet is now availible here. “Having been to Holy Communion, I felt Jesus coming, and do you know how I felt Him? At first, when I had just received Him into my heart, He began to make it beat, oh so violently, that I thought it would leap out of my breast! Then He asked me if I truly loved Him. I answered ‘Yes and do You love me?’ . Just wanted to let you know that I posted a tribute to St. Gemma on my blog. Much of what I know about her is based on what I learned here. Thank you, thank you , thank you for this site. May wonderful St. Gemma intercede powerfully for you today, her feast date celebrated by the Passionist Order. May God bless you on the Passionist feast in honor of St Gemma! (May 16). I am so glad to hear of your devotion to St Gemma, and I thank you so much for the post about Saint Gemma on you "Happy to be Catholic" Blog. I pray that St Gemma may be your special friend and advocate before our loving God. Hi Glenn, Thanks for your kind post. One more thing...in case you haven't seen it, St. Gemma has a starring role in the introduction to a great new book called The Rite by Matt Baglio. He chronicles a California priest’s experience as he trains in Rome to become an exorcist. Very balanced, non-sensationalistic account, well written and utterly fascinating. I won’t give it away, but let’s just say St. Gemma is in some very good company during her appearance! I hope you get a chance to read it, I was so happy to find her there, and was grateful to have learned so much about her from you! Thank you for passing this information along. Yes, someone else told me a little about what was written about St Gemma in this new book, but I have not read it yet. I hopew to get the book soon. Additionally, concerning the intercession of Saint Gemma in the battle against the demonic, I recently came across some additional interesting information. There is a Passionist Priest in Italy who is an appointed exorcist who for many years (up until recently) performed his exorcisms at the Monastery/Sanctuary of St Gemma in Lucca. He had a special room in the monastery for this purpose. Apparently, he is very devoted to St Gemma and during a news interview when asked advice on how to combat evil, he advised praying to God and the Blessed Mother and also Saint Gemma (he mentioned her specifically by name). Along with this information I also came across a picture of him in the room at St Gemma's monastery where he was doing the exorcisms. In the picture, he is standing next to table and chair where he would perfom the exorcisms, and on the table he has a large photograph of St Gemma. Given this interesting information, I have since mailed him a letter with a few interview questions, stating that with his permission I would post the interview on the St Gemma website. So, God willing, I am hoping to get a reply soon. I also once was told that St Gemma appeared with the Blessed Virgin Mary about 30 years ago to a holy person in Quebec, Canada. Apparently she assisted the Blessed Mother in giving a lesson in purity to this particular person. Obviously, I can't confirm the veracity of such information, but it is interesting to contemplate. Thank you for the information and may God bless you and yours! I just want to share my experience with this saint. I actually not familiar with her feast day. Last week I am praying to God for a date of my Son's baptism.Then early in the morning about 5:00 A.M. I dream of big calendar which indicate the month and date it was May 16 and indicated as the feast of St. Gemma Galgani.Then when I woke up I search it in the net to my surprise May 16 was really a feast day for the Passionist congregation and the date it self was exactly falls on Sunday the usual schedule of baptism in our parish. Then I decided that it will be the baptism schedule for my son. Thanks for sharing your dream. It sounds like you were really enlightened as to the date of your sons baptism. Perhaps this is an indication that Saint Gemma is to be his special patroness. I pray for your sons baptism, that God may draw him ever closer to Himself, and may St Gemma be his heavenly advocate. 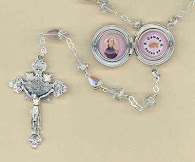 I am excited to hear about your St. Gemma Novena booklets and I will be very happy to order one. When you post the announcement that the booklets are ready, I will gladly send you the payment. Thank you for all you do on behalf of our dear St. Gemma. I am glad to hear that you will be interested in one of the novena booklets (along with the free 2nd class relic card that comes with it). I should be receiving the novena booklets on Wednesday and I will post the ordering info here as soon as I receive them. Thanks again and please bless my family and all who visit this website. Hi, I was wondering how much the novena booklet was going to be with the shipping? I would like these booklets to last, so I had the entire booklet made of the highest quality 100 lb. premium gloss paper stock, along with a special matte finish U/V coating on the cover (front and back) to protect it. Both the 100 lb. paper throughout and the U/V protectant coating increased the cost of course, but I think quality and durability is important for a booklet like this. Anyway, I am scheduled to receive the booklets on Wednesday (May 9, 2012) and I will and make them availible on the Home page of this website, and also I will make a link to the offer here. Please do post about the booklets as I definitely want to order one with the free 2nd class relic. St. Gemma is my co-patroness and your website has been a wonderful resource!